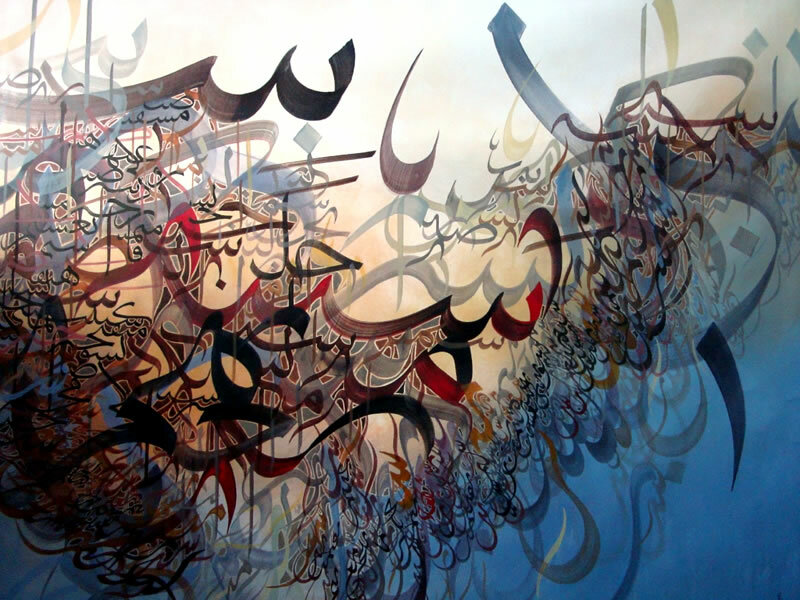 I am more than a bit obsessed with Arabic calligraphy. It’s so beautiful and I love the way each piece defines space on a page \ canvas. 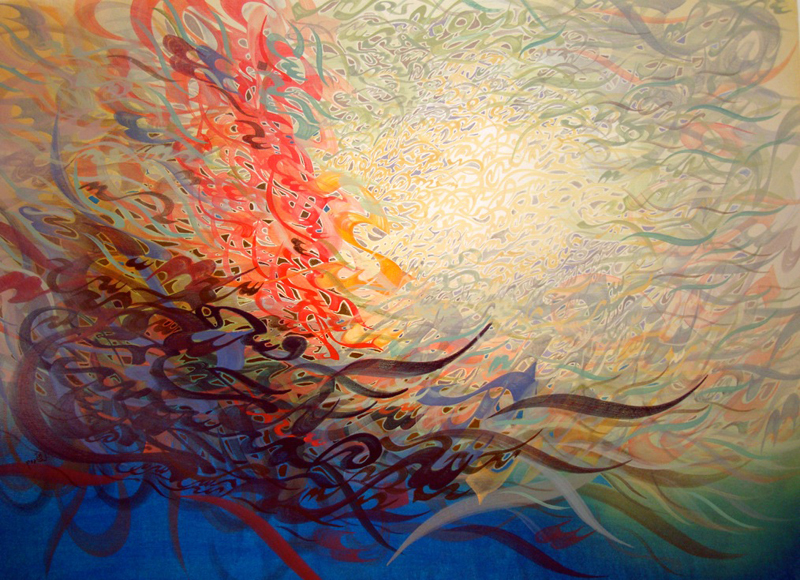 I recently found an artist who appeals to my sense of color the way that Sam Flores and Marc Chagall do while also exploring space and depth. His name is Khaled Al Saai and you can read \ see more about him here. 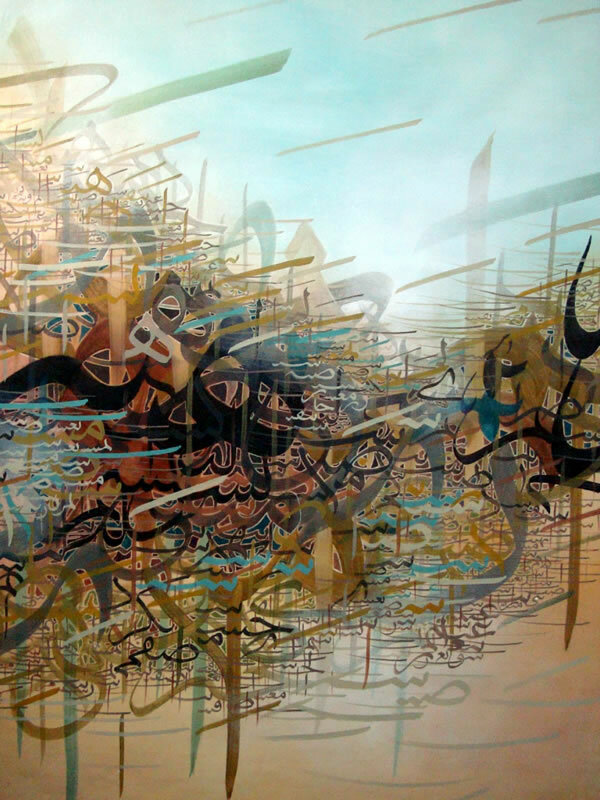 Khaled was born in Syria where he grew to be a master of painting and calligraphy. 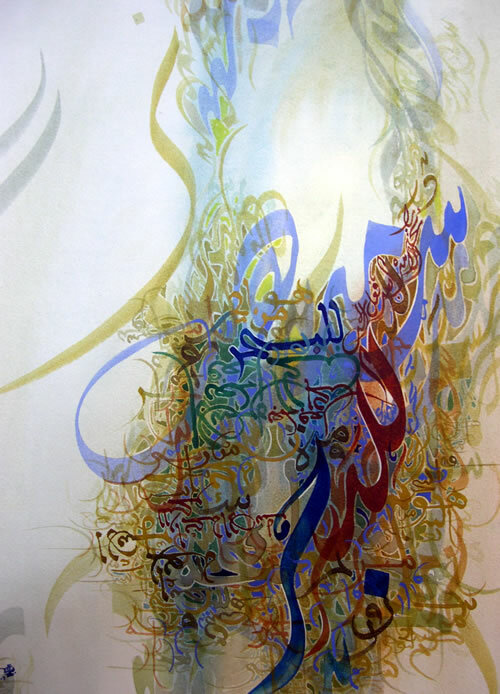 In 1997 he was nominated as one of the top 10 calligraphers in the world. His calligraphy becomes a complete scene. The depth seems to stretch beyond the canvas as the letters overlap each other without end. You can reach more of his work directly here. I want to try this. 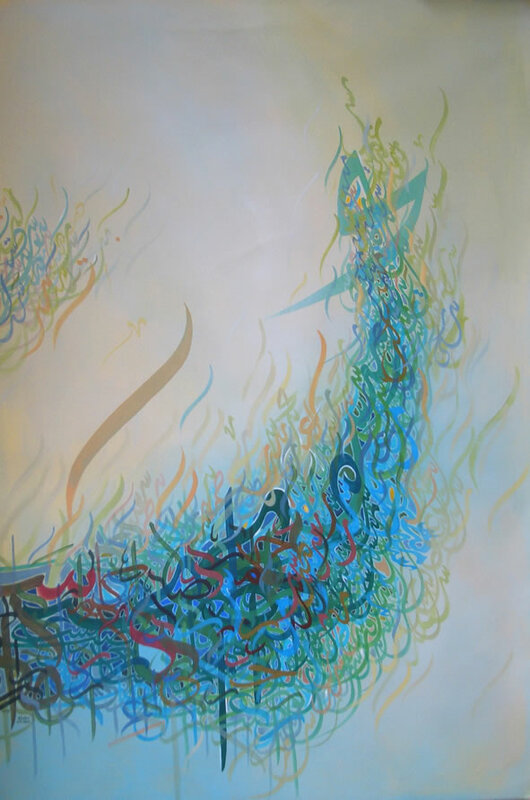 Can anyone suggest some good literature or poetry I can paint in Arabic?